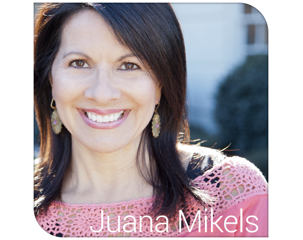 JuanaMikels.com: The Gift of Suffering & Wednesday's Prayer Girls & Link-Up Party! The Gift of Suffering & Wednesday's Prayer Girls & Link-Up Party! Several weeks ago, I had a beautiful surprise from the Lord, that came from a most unlikely combination. Today I want to tell you about it. We attended a wedding party for friends who had recently had a destination wedding. People were milling about, talking and renewing old friendships. Not long after we arrived, a lively band began playing Motown hits in one of the larger rooms. My husband was visiting with some old friends, and Mary, our youngest child, and I wandered in toward the room with the music. The band was playing all the old hits from our college days. I held Mary's hands and was showing her how to dance the shag. Laughing away, we were having a great time as Mary wanted to hold on to her cane clutched close to her body, as I held her free hand and we moved to the music. Then I saw a beautiful sight. There was another mother and child dancing. Mary and I with our dark hair, and another mother and daughter with beautiful reddish hair. Her daughter was dancing from her wheelchair. It appeared to me that she could not have use of her legs, and was enjoying the sway of the wheelchair as her mom moved the chair—while her daughter was feeling the rhythm in her arms. Two moms. Two special need daughters. It touched my heart so. We were about to head to another room when the mom approached me as she wheeled her daughter over. "Is this your daughter?" she pleasantly asked in my ear, as we conversed over the band music. "Yes, it is!" I responded, eager to introduce ourselves to them. "It's nice to meet you. I'm Juana Mikels, and this is my daughter, Mary." "I'm Susan, and this is my daughter, Rachael. I saw you both earlier, and noticed that your daughter was blind. My daughter is totally deaf," replied Susan with a genuine smile. "My daughter was born totally blind." We had an instant bond that needed no words. I leaned down toward her daughter who seemed very focused on all three of us. Her mom spelled our names in Rachael's hand using sign language. I asked Susan to spell it in Mary's hand. She did, and Rachael signed excitedly to her mom, and I could see that she thought Mary knew sign language. I explained overemphasizing my words as Rachael concentrated on my lips that Mary did not know sign language, but wanted her to see how you all spoke to each other. I leaned in close to Mary's ear, and over the band music I told her that Rachael was totally deaf. Mary was standing very close to Rachael, but she knew that Rachael couldn't hear her after my explanation in her ear, so she was very quiet and content to just stand close to Rachael. I had already described Rachael to Mary when I first saw her mom dancing with her and I told Mary how her mom swayed her wheelchair so she could "dance" with the music. As we stood and the two girls were quiet, I knew I was on holy ground. One daughter, completely deaf. Another daughter, totally blind. Having what we mothers never would have asked for, yet I could tell that this mother had the same joy that I had, and at this moment—this may be hard to believe—it was like double joy. 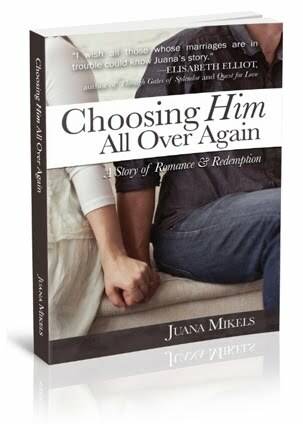 "... God has chosen what is weak in the world to shame the strong. so that no one can boast in His presence." How about you? Have you been giving a gift of suffering? Given something that you never would have asked for? Singleness and you want to be married? A wayward child that you want to come home? Give it to God who is the God of transformation and blessing. He can bring joy out of the gift of suffering in ways we never could have imagined. I can testify firsthand! Since meeting Rachael, I have corresponded with her. She has a sharp mind, and expresses herself beautifully on the computer. She gave me permission to share this with you. Next time, I have a little surprise for you. Mary sang at church last Sunday, and I'll share a clip of it for you! Each Wednesday I like to offer to pray for your non-confidential prayer request or praise in the comment section below. Please enter a prayer if you would like me to pray for you (and pray for one another!) and I will reply to your prayer there (located below my signature at very bottom of this post). I'm praising God today that Christ's light shines through the weak things of this world, like my daughter, Mary, and other beautiful special needs people like Rachael. Thank you, Lord, that there are no accidents with you. I recently read an article that Down's Syndrome may be completely erased in the future due to advances in medicine. So I am wondering, because there are no accidents with God, is that a good thing? Thanks so much Juana for sharing this. Thank you, Sheila for your very kind words! You are such an encourager, and I also thank you for your faithfulness to post your beautiful blog with us on Wednesdays. I appreciate you, Sheila! 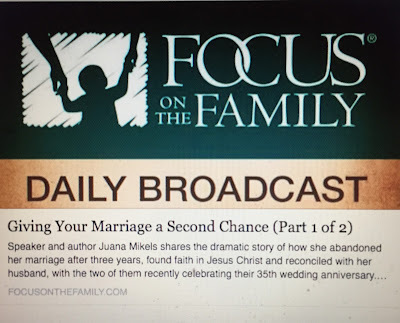 Juana, THANK YOU my precious friend for allowing me the wonderful opportunity to be able to post my blog each Wednesday. I count as one of my many beautiful blessings! Requesting Agreement in Prayer for this weekend's ministry in Willoughby, Ohio at Community of the Holy Spirit Church! My husband and I will be bringing the ministry this weekend to the leadership of the church, a Saturday all day Church Advance and the Sunday morning service. We're believing for God to do all that is in His heart for this wonderful Body of believers! Heavenly Father, we lift up Sheila and her husband as they prepare to travel to Ohio to serve You by leading your people there for the weekend. Lord, may your Spirit be abundantly present to teach each person what you would desire for them. May all they do, bring you glory! Amen. Juana- This is a beautiful post! The Holman translation is a powerful wording of that most familiar verse. I am grateful this morning that you shared it! Oh may our God continue to be with both young ladies & use them mightily for His glory! Thank you, thank you for this post. Oh, Thank you Joanne for your most heartfelt comment. It means so much that you took your time to tell me that you appreciated the post on the girls. Thank you for praying for them both, Sister! Stay strong in Him! I love this, Juana. Such a blessing to watch life through the eyes of one our society deems "unproductive." How far their thinking is from the church. I imagine one day we'll stand before the Father and realize that these precious people actually have a reserved place of honor in Heaven. It's cool too, that my post today talks about Helen Keller and Thomas Edison--did you know he suffered from severe hearing loss? Whoops - "church" should be "truth". :-) Spell checker messes up yet again! Hi Debi! Thank you for your encouraging words! Beautiful, Debi, just beautiful. I'm not sure I remembered that about Thomas Edison. We love Helen Keller, of course! So glad you wrote about her! Love to you! More prayers for Wayne, there is no such thing as TOO much prayer. Also for David who is recovering from hip replacement yesterday. Specifically prayers for pain relief. It has been a very long journey for him. Hi Jana!! Hope you are getting all that jewlery ready for Christmas showings! Dear Lord, we lift up Jana's friend, Wayne to you. Keep Wayne in your constant watch Lord as he battles advanced cancer. May he keep Christ uppermost in his heart. We pray also for Jana's friend, David, as he recovers from hip surgery, & for his pain management. Give them grace Lord, one day at a time on their journeys. Amen. Oh, and I almost forgot. Another friend, Polly, just found out yesterday that she will need her gallbladder removed soon. They just added an adopted daughter, Esther, from Ethiopia just about a week ago and have 7 biological kids too (from 17 to 4). She said she doesn't have time for her gallbladder. 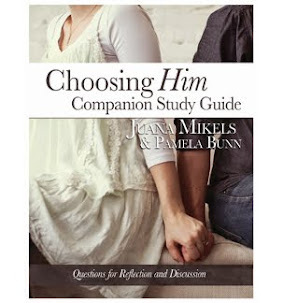 Lord, Jana almost forgot about her friend, Polly, but you didn't! We lift her need for gallbladder surgery to you, Lord. She is busy with their new family member, and parenting and all its responsibilites as you know, but help her to take care of herself that she may lead a long life to be able to mother them, to be a wife to her husband, and even more. Help her to make time for what she needs to do in the order you would have her do it. Amen. Hi Gail, don't you love it when God speaks to us through the people we meet like precious Rachael & her mother? I'm so glad we've "met" & hope to meet you in person one day.